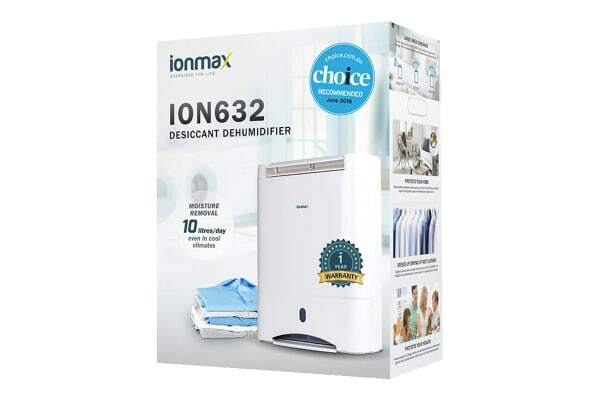 The Ionmax Desiccant Dehumidifier helps you efficiently maintain the optimum level of humidity at home or in the office. 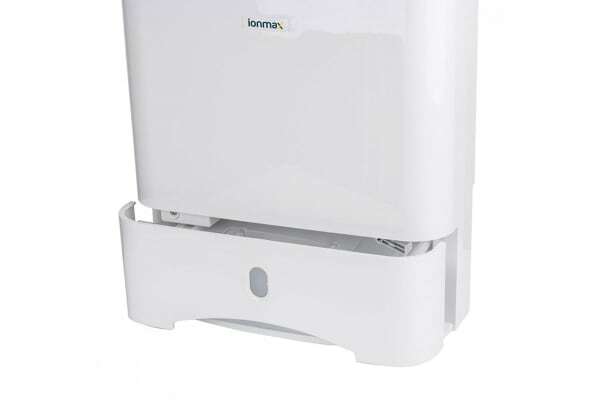 Designed for high performance and ease of use, the Ionmax Desiccant Dehumidifier offers various excellent features that make it not only highly effective across all temperatures but also convenient, safe and ideal for home or industrial use. Its safety functions include adaptive control, fall-down, water-full and abnormal temperature detection. The unit will also restart automatically after the power is cut, reverting back to the settings prior to the power failure. With features like turbo mode, laundry mode, built-in heater and air filter, removable 3.5L tank and easy-to-use humidistat, it’s not only easy to set your preferred humidity indoors, it’s also convenient and multifunctional! Offering powerful performance and fast dehumidification for large areas up to 50sqm, this dehumidifier is perfect for large homes and offices. 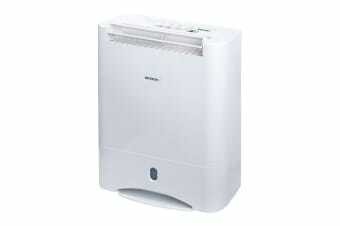 It provides thorough room coverage with its automatic louver and three-directional adjustment. It comes with improved humidity level controls, including laundry to dry clothes during winter. It has three power levels – auto, low and high. It has a timer that you can set up to 8 hours. With silver nano technology filter, it prevents the growth of bacteria on the filter, thus improving the quality of air in your home. By lowering and helping to maintain an optimal humidity level indoors, the ION632 can help prevent mould and mildew, protect wood flooring and furniture and prevent walls and ceilings from rotting or peeling due to excessive moisture. It removes high volumes of moisture in a shorter amount of time compared to other types of dehumidifiers, making it energy-efficient too. The Ionmax ION632 desiccant dehumidifier uses a Zeolite disc, which is non-toxic and has a high affinity for water. Unlike compressor type dehumidifiers that use refrigerants, the Ionmax ION632 desiccant dehumidifier is not only environmental-friendly, but does not need any maintenance as the Zeolite regenerates itself in the dehumidifying process, ensuring ongoing performance.